Something as simple as an oil change can make all the difference to the power and handling of your vehicle. At Glenn’s Auto Repair, we understand how much debris and buildup can clutter your oil over time. Let us show you the difference between just driving to get where you need to go, and loving the way that your vehicle runs. An oil change is one of the easiest and most affordable types of vehicle maintenance, and yet so many leave it until the last minute, or forego it for extended periods of time. Your vehicle is made up of hundreds of working parts, most of which are metal. These parts require lubrication to operate smoothly, otherwise they will rust and fuse together. The oil in your car does a lot of different things to keep it running smoothly, and when oil levels become low, or contaminated, it can be detrimental to the health of your vehicle. To give you an idea of the cost of changing your oil vs. not changing your oil, consider the average cost of an oil change vs. the overall price you will pay to completely repair an engine. You’re talking somewhere in the low $100 price range vs. a cost of around $4500. When you think about it this way, the proactive solution seems much cheaper. At Glenn’s Auto Repair, we want our clients to receive the best service at the best cost every time. This is why we always suggest being proactive with oil change and other small maintenance work that needs to be done regularly on your vehicle. By keeping up with these small jobs, we are able to keep your vehicle in tip top shape with far less financial stress. The oil in your car will break down over time, because of a build-up of debris and corrosion causing dirt in the oil. If you notice that your oil is looking particularly thick, cakey, or sludgy, it is way past due on a change, and should be cleaned and refilled as soon as possible. An oil change can help in so many ways, including properly lubricating the pistons, valves, and other high-speed components of your engine. Over time, the rubbing and movement of these pieces can cause serious damage if the correct type and amount of oil isn’t applied regularly. Clean oil helps these parts to function correctly, but thick, sludgy oil will slow them down and cause more damage. After an oil change you might notice that you’re getting more miles to the gallon, this is because your engine is more properly lubricated and can move quickly and efficiently. When your engine is running on oil, dirty oil, it becomes slow, and the mechanics don’t run as well. This can make it work harder, burning more gas over less distance. Overall, regular oil changes will help your vehicle live a longer life, and this will make your life easier and more enjoyable. Engines that are overworked lead to that big price tag we talked about earlier. A quick, simple, and cost-effective way to keep your vehicle working properly for longer is to have regular oil changes with a trained mechanic. Don’t put yours off any longer than you have to, call today and book an oil changed with an experienced auto technician. The amount of work in an oil change is determined by the vehicle, and needs of the customer. Most will include the changing of the motor oil, and the replacement of an oil filter. Your mechanic may also want to check out your engine and filtration system, belts, coolant levels, and brake fluid levels. This is also a good time to have your car detailed, check transmission and power steering fluid, as well as tire pressure. Sometimes having all those “minor” checks done on your vehicle at the same time will save you time and money down the road. Don’t be afraid to ask questions, or inquire about additional checks when you go for your next oil change. For more information on oil changes, to schedule your own oil change, or to get a quote, contact us here at Glenn’s Auto Repair. We are always happy to speak to new and returning customers. 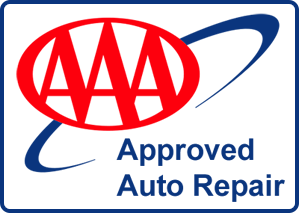 Glenn’s Auto Repair has been a top choice in the Federal Way, Washington area since we first opened our doors, and we’re happy to be part of the community.